Swoon loves the work Mercy Home does. Most of us come from a loving, stable home, but this isn’t true for everyone. And the public resources for kids who don’t have food, shelter or a loving family to come home to are dwindling in Illinois and around the country. That’s why at Swoon we see it as our obligation to make great efforts to work to improve the communities that we serve and volunteer where we can. 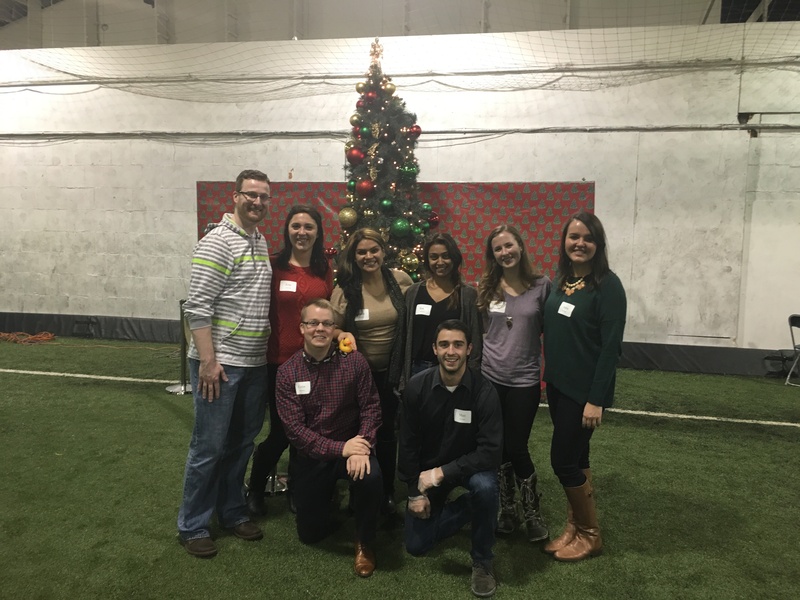 Recently Swooners volunteered to help out at the Mercy Home Christmas party. The party gives alumin of the program a chance to reunite with their families and catch up. It’s a well attended event with over 400 guests last year. Mercy Home asked for help with Food Service, Check In, Administering the toy table, Clean up, etc. We were glad to lend a hand and see the joy the visit from Santa and the toys brought to the people attending. It’s nice to see the great work Mercy Home does in the happy faces of the kids and adults attending the great party.